Cassandra female mannequins are available in full length poses for $859 each, All styles are also available as 3/4 styles with floor base (shown) or countertop base (available) at $859 each. 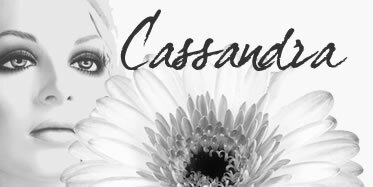 There are six styles of heads available with Cassandra. Any of these heads can be interchanged with any of these poses for no additional cost. Standard with brushed steel base. If you'd like the effect of a realistic female mannequin, without the added maintanence of wigs, the Cassandra collection of female realistic mannequins may be perfect. As with all Vaudeville Decter mannequins, all Cassandra heads are interchangeable with any body pose that Vaudeville offers, at no additional charge. So, if you'd like a seated female mannequin to coordinate with the mannequins that you've chosen from Cassandra, that's easy. Just pick a seated pose from our Metropolitan or Luxe collections, and drop us a line. Your mannequin will be custom made for you.